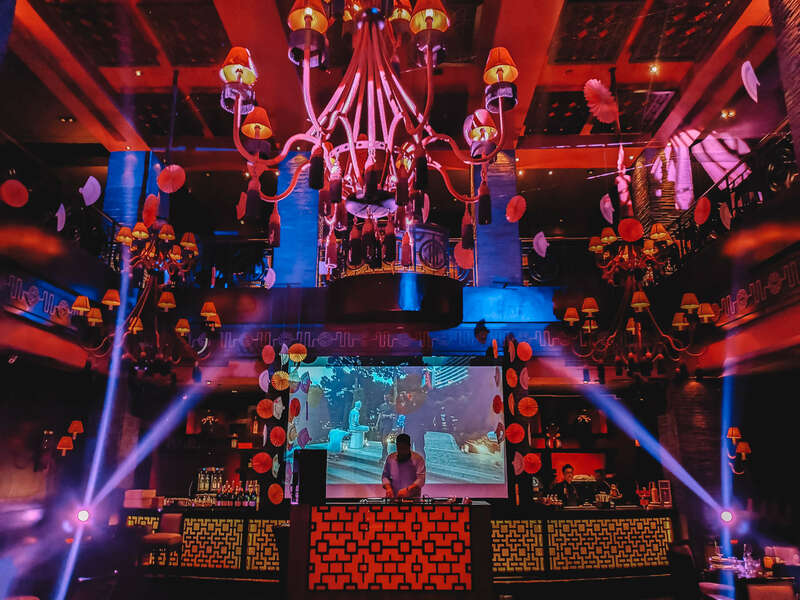 Buddha Bar just celebrated its 7th year with Crazy Rich Asians party theme. They had the talented DJ Manolet Dario and some snappy, beautiful dancers for a spectacular entertainment. The ambiance instantly gave us the party vibes upon setting foot in the bar. It’s a two-storey building with plenty of interesting things to offer once you’re inside. 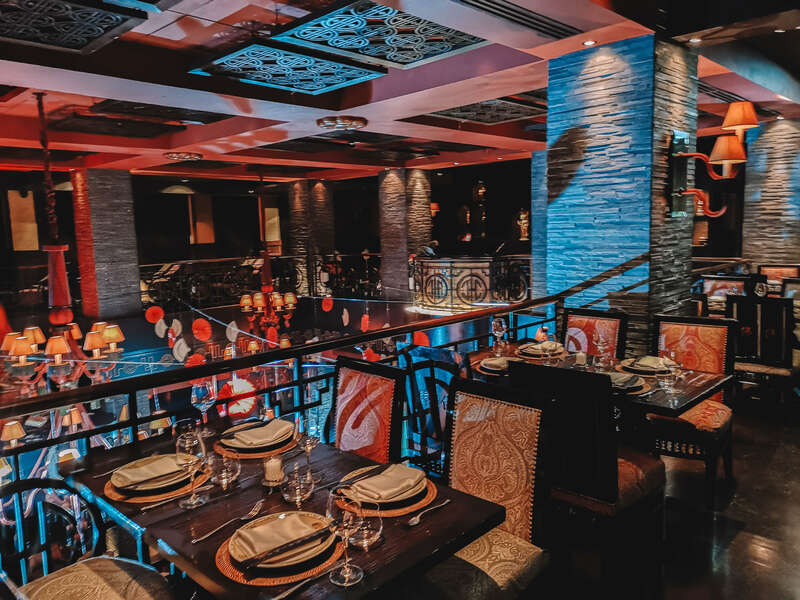 The place oozes with elegance, thanks to its posh interior. With a spacious dance floor and towering ceiling, you surely have enough space to enjoy and have fun. And since the bar is named after Buddha, you will find his mammoth statue as an impressive centerpiece. We ordered drinks with sushi since cocktails and bar chows are best-sellers here. I love sushi, and Raina was also craving for it, so we decided to take advantage of their Buy 1 Take 1 promo; that’s 2 plates of sushi for 499 pesos (only available between 4pm to 8pm). 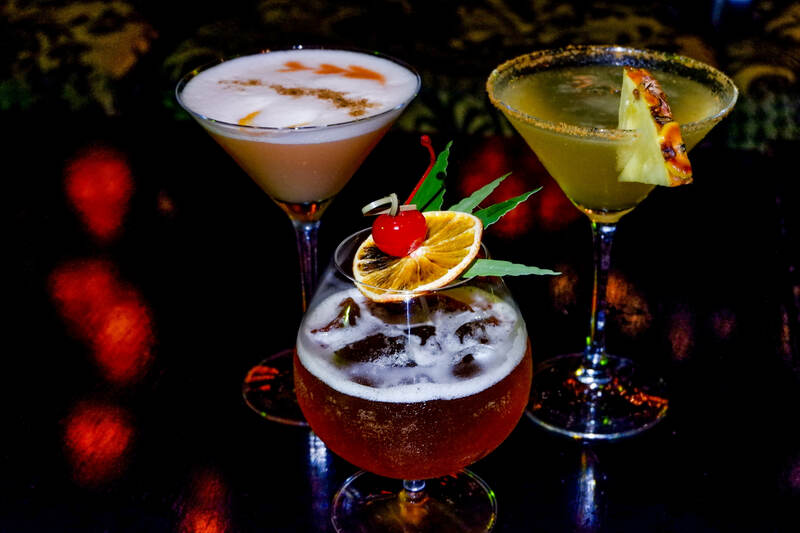 Other promos and events you can enjoy at Buddha Bar Manila include the Majestic Sunsets which is basically a happy hour happening between 4pm to 8pm every day. Here, you can get your favorite drink with another free cocktail, or order 5 beers for only 500 pesos. The best thing is that you can pair your drink with maki rolls and other bar chows at a more affordable rate. If you’re going to order sushi, you can choose from four varieties such as the Salmon Volcano, Crazy Spicy Tuna, Pink Lady, and Shrimp and Salted Egg Sushi. My favorite, though, was the Salmon Volcano and the Pink Lady. However, the Shrimp and Salted Egg was also good. Only that, I would prefer it more for those who really love salted eggs. And the best part, the food! 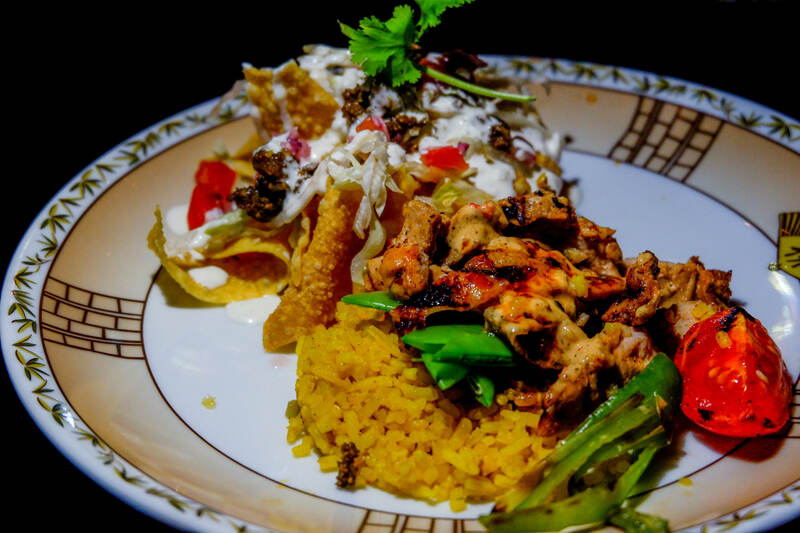 We tried the Chicken Nachos, Grilled Chicken with Rice, and the Chicken Wings. I would love to emphasize their nice twist to the Chicken Wings, though. It has sambal so it tasted a bit sweet and spicy, a perfect combination of flavors. Of course, there are more food to choose from their Asian- and Western-inspired menu. You’ve got the sushi assortment, classic sushi, and other delicious meals for casual dining. For our drinks, we ordered 6 cocktails so we can try different flavors and judge them with all fairness. The Mind Eraser was okay, a nice option for a casual night out with friends. The Twist and Shout is a tequila drink with a bit of soapy taste due to the foam. For a light drink, you can have the Princess Shot. But if you want something strong, you can order the Majestic Pineapple. The Straight Up was too minty, and the Afternoon Chaos was a good drink if you just want to chill and enjoy. 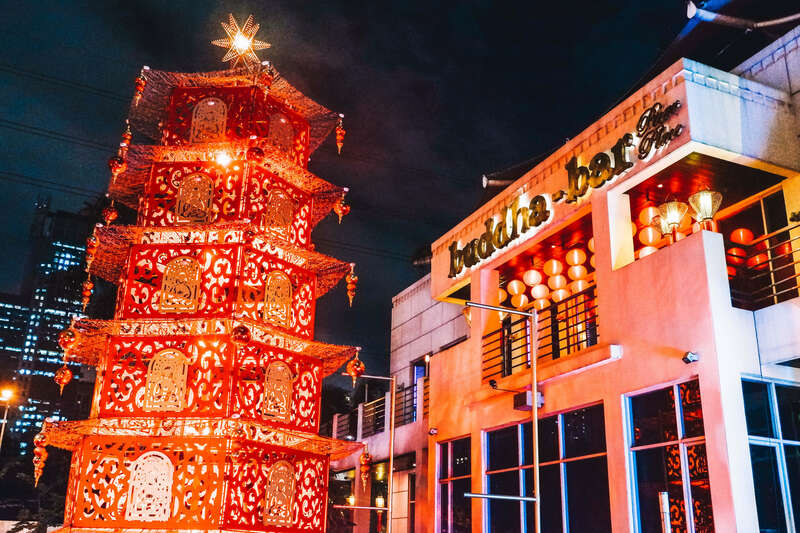 Next time you want to eat and party, get the best experience at Buddha Bar. 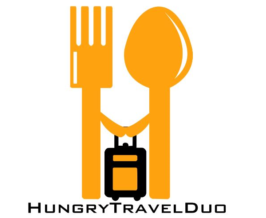 They serve Western, East Asian, Thai, Japanese, and Chinese food for more variety. Plus, the restaurant offer huge servings for group sharing. As they say, the more the merrier! If you did not come here to dance and party, there are available sofa chairs in the corners of the dance floor so you can still feel have fun while sipping your drink. The cozy atmosphere is perfect if you’re looking to just relax and unwind with your besties. Also, the good music provides more fun and chilling experience. And if you want some IG-worthy photos, you can pose in the lovely staircase under the beautiful blend of lights. It’s totally magnificent for a price that’s really worth it.